Our brown Bear Mascot stress ball is growling to get into the game! 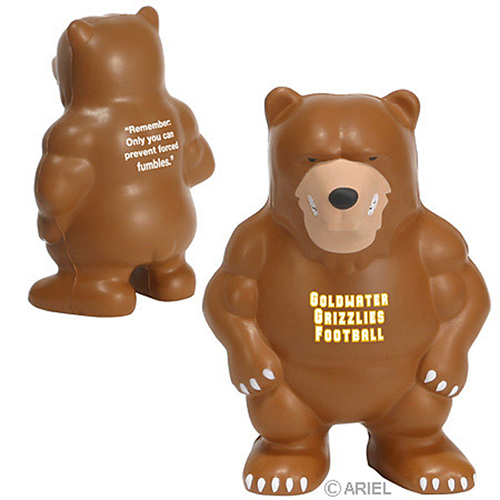 You can custom imprint your team name or catchy phrase onto a bear mascot stress reliever. These bear mascot stress balls are great promotions to hand out at rallies, games, fundraisers and any school event. Item Size : 3-1/4" x 4-1/2" x 2"